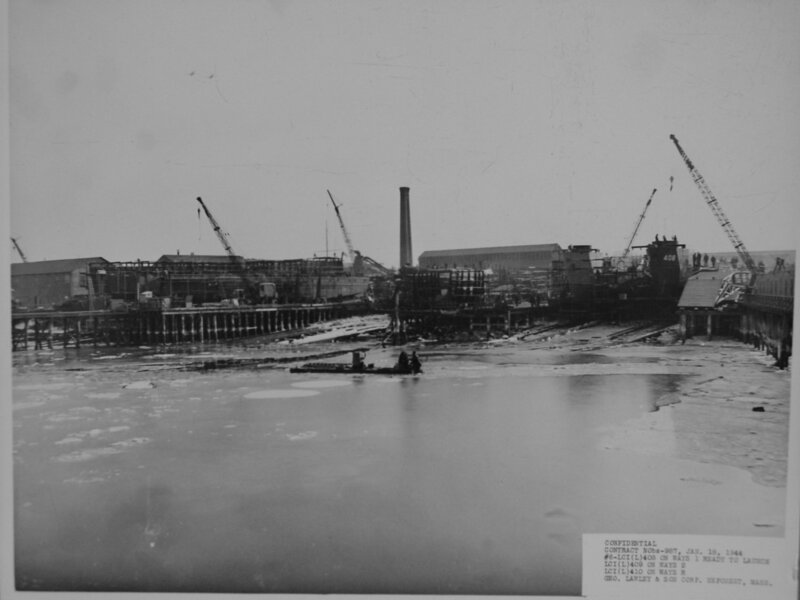 Laid down, 15 January 1944, by George Lawley and Sons Corp., Neponset, MA. 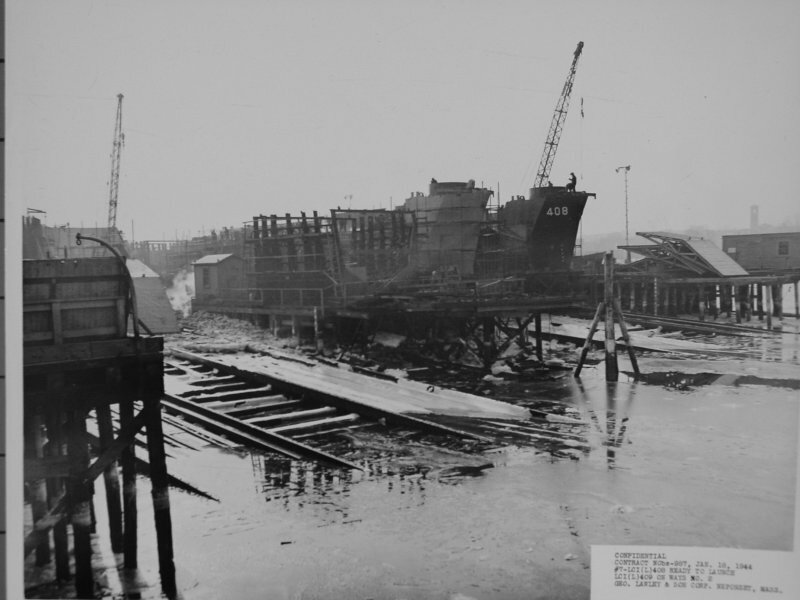 64k USS LCI(L)-408 on building ways 1 and USS LCI(L)-409 on the building ways 3 at George Lawley & Sons Shipbuilding Corp., Neponset, MA., 16 January 1944. 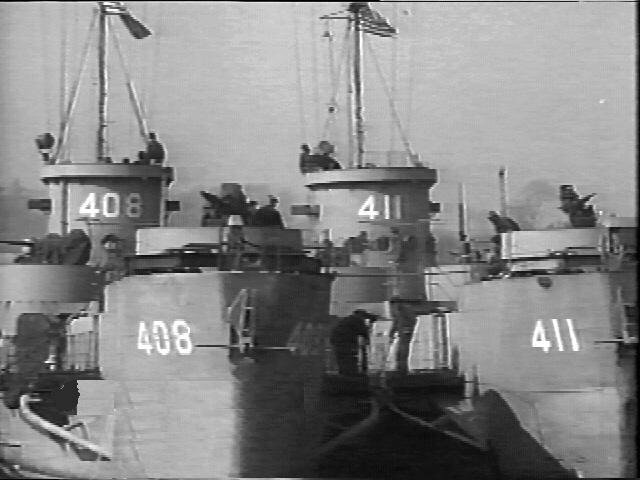 147k USS LCI(L)-408 on building ways 1 ready for launch, USS LCI(L)-410 on building ways 2 and USS LCI(L)-409 on building ways 3 at George Lawley & Sons Shipbuilding Corp., Neponset, MA., 16 January 1944. 53k USS LCI(L)-408 pierside with USS LCI(L)-411 outboard, England, 24 March 1944. 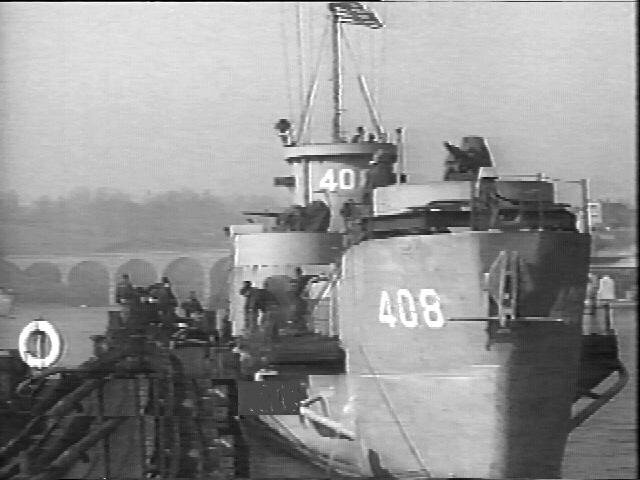 104k USS President Warfield (IX-169) moored on the Seine River, France, circa 1944-1945. 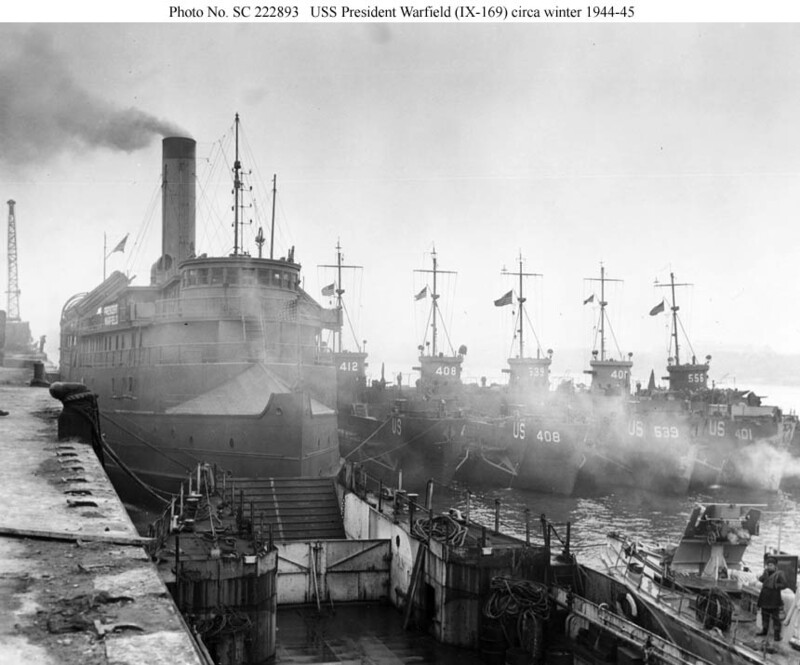 President Warfield was serving as a Base and Accommodations Ship for LCIs. 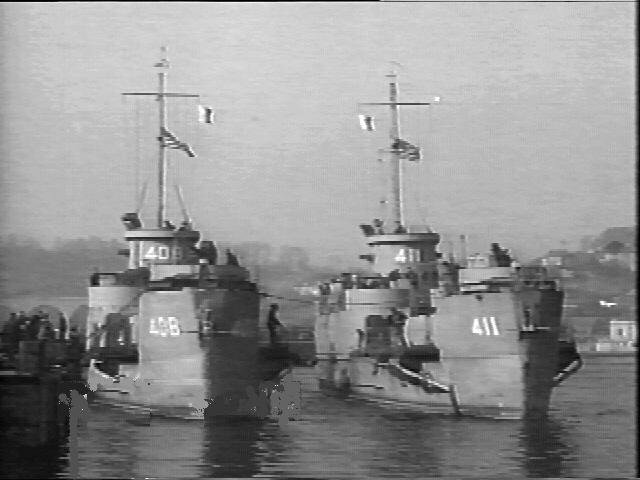 Alongside, from left to right; USS LCI(L)-412, USS LCI(L)-408, USS LCI(L)-539, USS LCI(L)-401 and USS LCI(L)-556. In the right foreground is an LCT and HMS ML-248.